This multi-purpose chair by KFI will suit all of your seating needs. 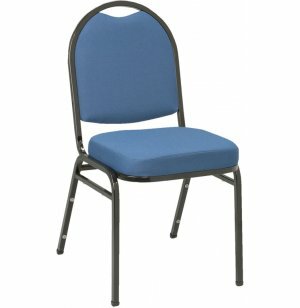 With smooth curves and a durable frame of 13/16"-square tubing of 18-gauge steel, this chair is designed with practical comfort in mind. It has a rear-leg bar and rocker glides, as well as a central hand grip for simple portability. This chair boasts side stacking bars and can stack 10 to 12 high, making it extremely space efficient. Stacking bumpers help prevent scratches, so the chair won't look worn even after hardy use. Seats are cushioned and upholstered with fabric to suit any function. 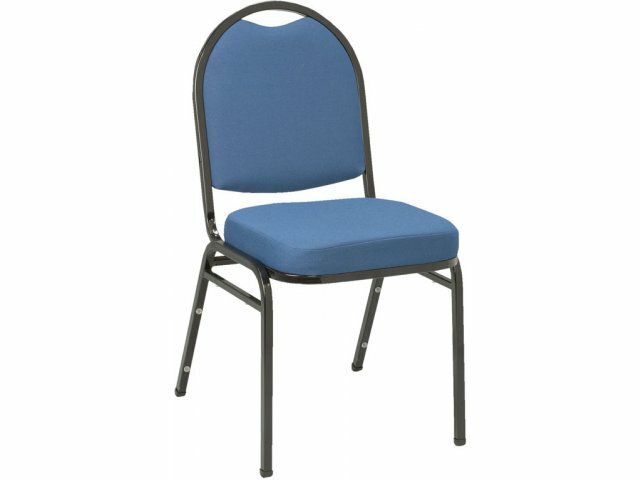 Convenient: This chair stacks 10 to 12 high, with side stacking bars and a hand grip to move it easily. Storage is a snap with this space efficient chair.